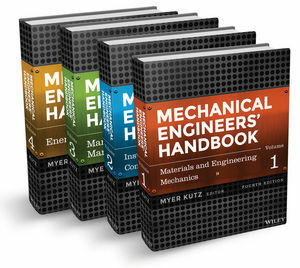 Mechanical Engineer's Handbook provides the most comprehensive coverage of the entire discipline, with a focus on explanation and analysis. Packaged as a modular approach, these books are designed to be used either individually or as a set, providing engineers with a thorough, detailed, ready reference on topics that may fall outside their scope of expertise. Each book provides discussion and examples as opposed to straight data and calculations, giving readers the immediate background they need while pointing them toward more in-depth information as necessary. 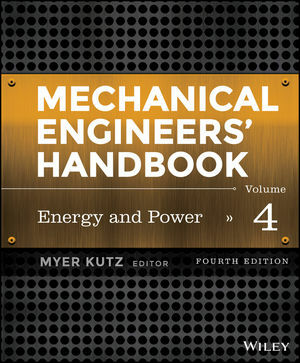 Volume 4: Energy and Power covers the essentials of fluids, thermodynamics, entropy, and heat, with chapters dedicated to individual applications such as air heating, cryogenic engineering, indoor environmental control, and more. Readers will find detailed guidance toward fuel sources and their technologies, as well as a general overview of the mechanics of combustion. No single engineer can be a specialist in all areas that they are called on to work in the diverse industries and job functions they occupy. This book gives them a resource for finding the information they need, with a focus on topics related to the productions, transmission, and use of mechanical power and heat. Engineers must frequently refer to data tables, standards, and other list-type references, but this book is different; instead of just providing the answer, it explains why the answer is what it is. Engineers will appreciate this approach, and come to find Volume 4: Energy and Power an invaluable reference.